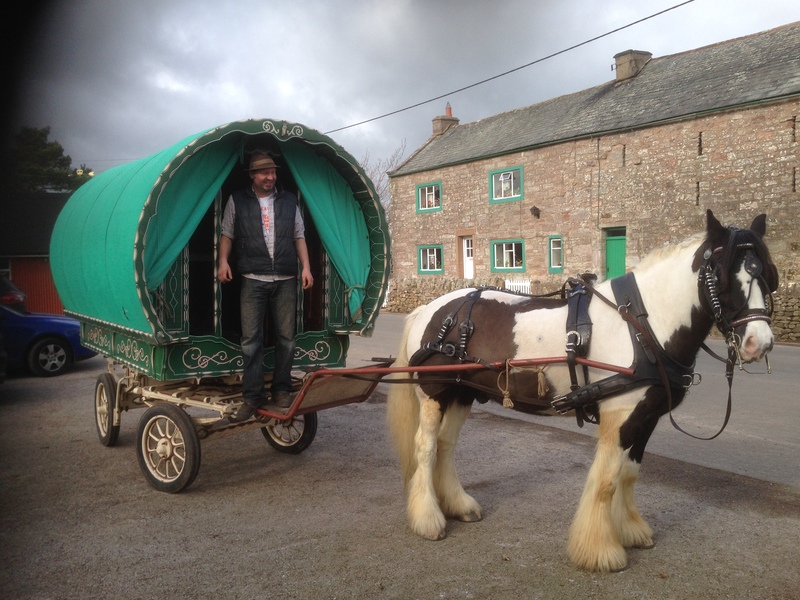 Last weekend Mathew took out his first horse drawn booking…. with great success. A lone traveler, a nurse arrived from New York and embraced the experience with open arms! Despite the forecast, they got lucky with the weather! 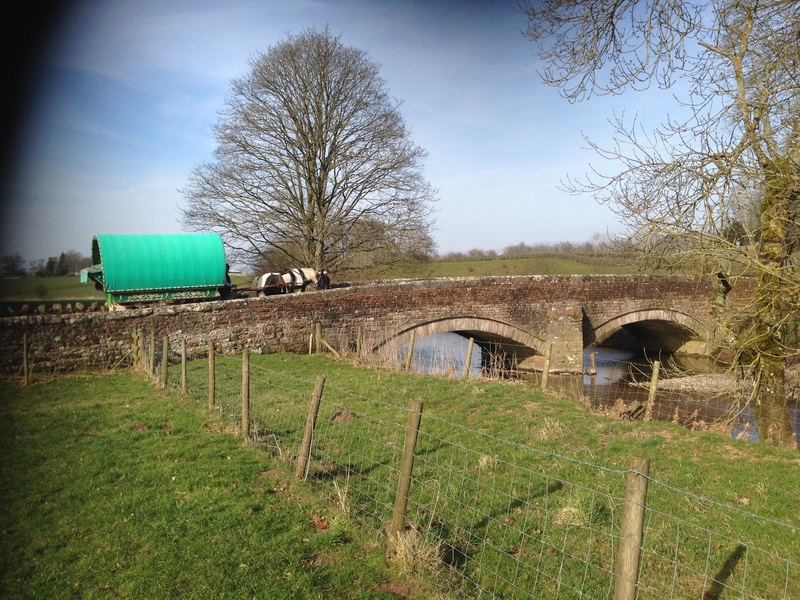 Mat first came to the Eden Valley on holiday as a child, he and his family loved it so much they move up! Mat knows the area like the back of his hand! He has a passion for the outdoor life and old country ways and can regale you with old poaching methods and “wildlife” tales. Mats an encyclopaedia of local knowledge, and can tell you anything from an otters favourite fishing spot, to the best route to the nearest pub! He spends most of his spare time roaming the countryside in the pursuit of “wildlife” or riding and driving the lanes on his trusted horse “Outlaw” with whom he has joined Wanderlusts horsedrawn holidays. 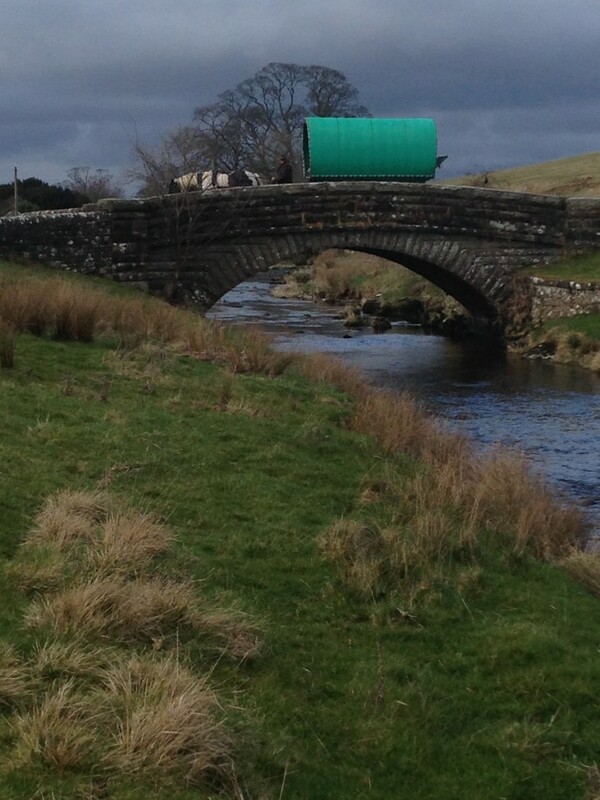 Tagged Gypsy Caravan, gypsy caravan holiday, holidays in cumbria, on the road, the open road, unusual holidays. « Hello and Welcome to Wanderlusts Blog!